Craftex hit a maximum at the Oval! 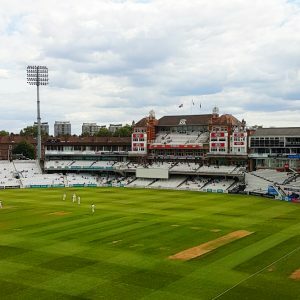 Whilst Surrey played West Indies in a friendly at the Kia Oval last week, Craftex were busy presenting Purex chemical free cleaning innovation in the OCS executive box! Needless to say, a great day was had by all! NO CHEMICALS = NO COSHH! Purex is a user friendly solution for all daily cleaning tasks. This product excels on high gloss surfaces such as glass, stainless steel, porcelain and ceramics. It also excels in the removal of grease. Purex is a non-residue product and helps to reduce slips and trips and re-soiling of surfaces. Create a cleaner workspace, reduce carbon footprint, eliminate packaging waste, increase user safety and deliver world class cleaning results with Purex from Craftex.